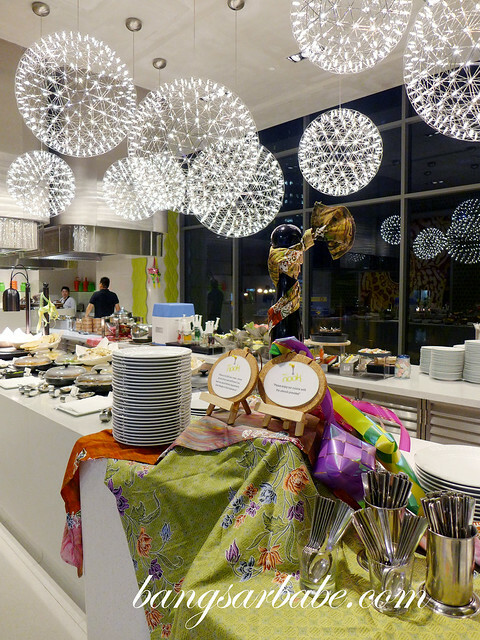 Aloft Kuala Lumpur Sentral is offering diners an A-List Malaysian Feast of local Malay delicacies this Ramadhan. 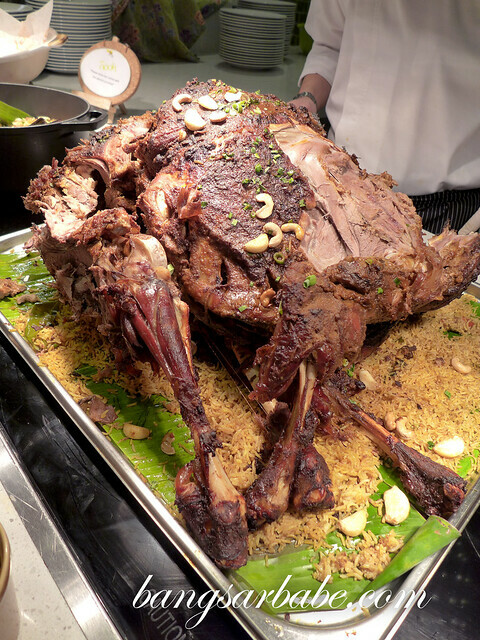 For RM88+ per pax, one can break fast with an assortment of dishes including stuffed whole lamb kuzi with nasi briyani, nasi lemak, rendang ayam, satay and roasted chicken. 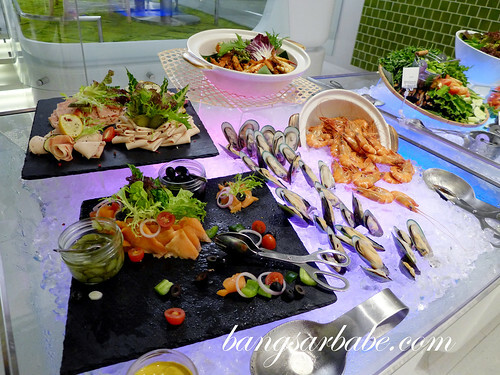 The buffet line is reasonably extensive – with several appetizers, salads, bread and soups, on top of main dishes and dessert. 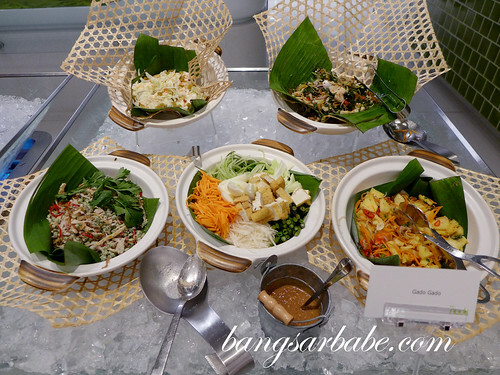 Most of the dishes were fuss free and hearty, some I enjoyed more than the others. I had two slices of roasted lamb; one drier than the other. The better slice was juicy with a rim of tasty fat. I rather enjoyed the roast chicken with green peppercorn cause – mostly because I got the chicken thigh. Another diner was less fortunate with the chicken breast though. 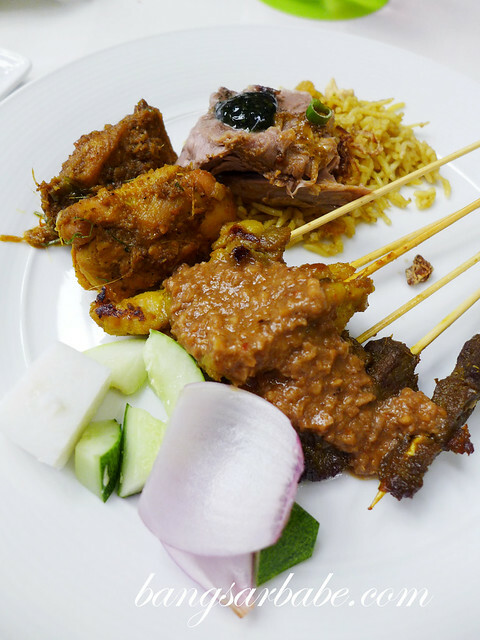 I had the Sarawak laksa and nasi lemak during my previous visit, so I skipped those and tried the chicken and beef satay. The chicken satay was tasty, but I found the beef version dry and chewy. 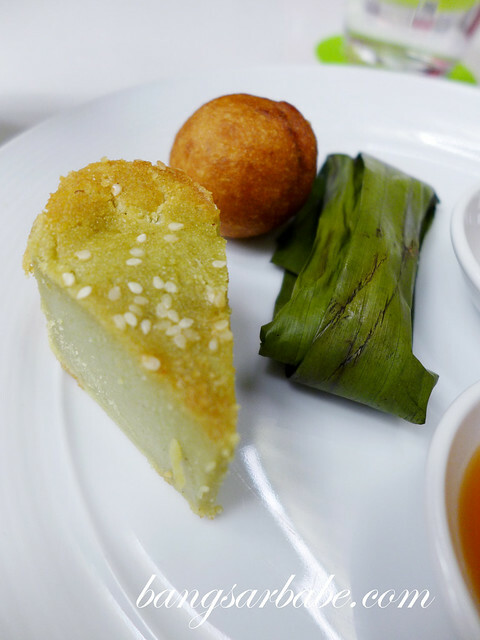 Although simple, I took comfort in the steamed dishes from the Chinese section, especially the steamed lamb meatball with preserved radish. 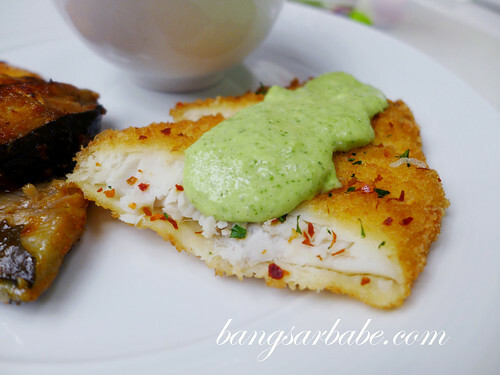 The ikan bakar from the grill station was decent – remember to ask for it to be crisp around the edges. I didn’t try many of the desserts available because by the time I was done with my mains, I felt like a stuffed turkey. For more information or to make a reservation, call 03-2723 1154. 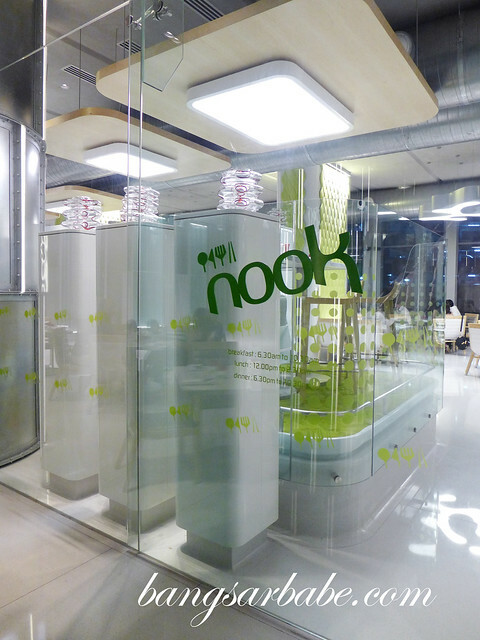 Nook is located at Level 1 of Aloft Kuala Lumpur Sentral and opens from 6am to 12am daily. 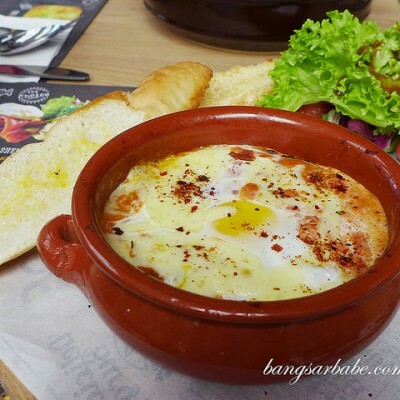 Those dining in a party of 4 will enjoy the Buy 3 Free 1 promotion at Nook. “Like” Aloft Kuala Lumpur Sentral on Facebook here. 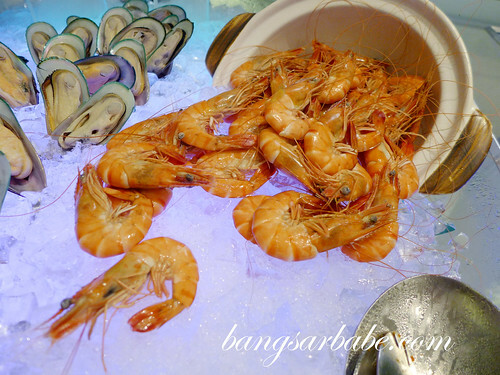 Verdict: Decent spread and with the current promo, Nook offers one of the most reasonable hotel buffets in town.